Hospital parking should be FREE! Share if you AGREE. You never know where your kindness will reach. This is the REAL GOOD STUFF! Oh wow what a powerful post. 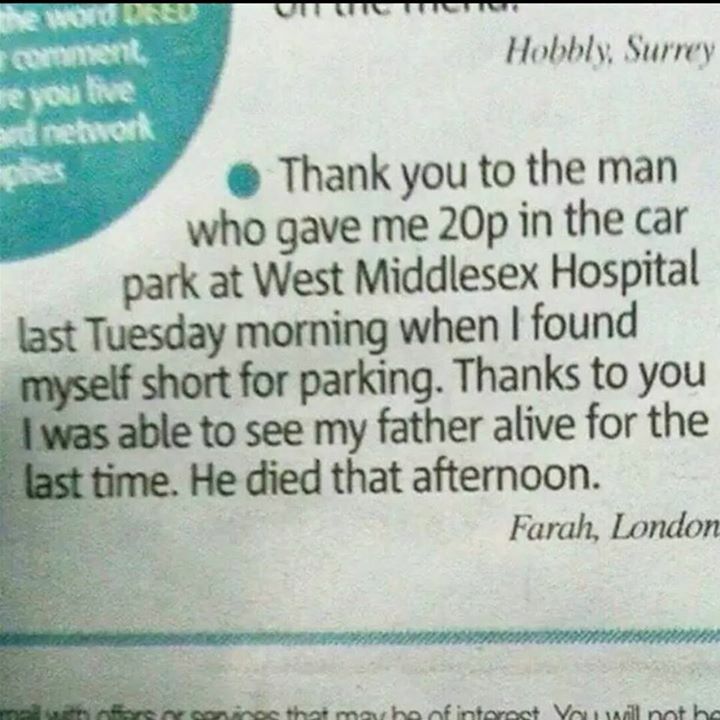 It goes to show that every act of kindness counts no matter how big or small. Amazing! reblogged on sethi51. Awesome . Fortunately for us, it is free – great share.